GIT campus has well equipped Laboratories in each department with 150 Mbps Internet connectivity and Wi-fi, CCTV surveillance. 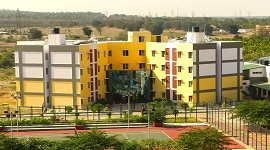 The campus has modern Computer Centre with latest machines and software. GIT has Ultra modern Library with more than 1 lac volumes, E-Library, E-learning, E-Journals and Digital Library with 24 X 7 Library access.The college has separate hostels for Boys and Girls. 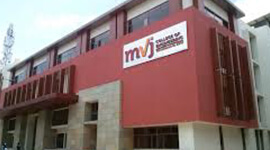 The college provides transportation facilities with 10+ buses and medical facilities with visiting doctors. 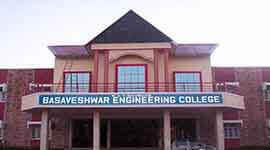 The Institute has a very strong industry interaction center and a full-fledged Training and Placement Cell. Many reputed companies visit the institution for campus recruitment. Students are placed in blue-chip companies through campus interviews. 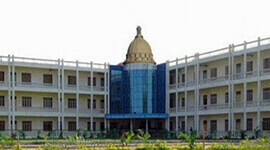 The placement training program will be conducted in the institute by experts. They train students in Aptitude skills,communication skills, soft skills. Regular mock interviews, group discussions etc. are also conducted to the students. GIT, houses 07 under graduate and 09 post graduate disciplines including MBA and MCA programs. GIT has the honour of sheltering over 4500 students and more than 250 highly qualified and motivated work force. Institute is accredited with grade A+ by National Assessment and Accreditation Council (NAAC). Research and innovation has been key strength of GIT. 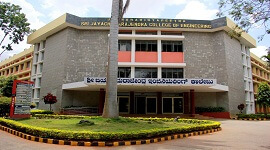 Excellent infrastructure in areas like Flexible Manufacturing System with CNC Machines and ROBOTICS, CAD/CAM, Digital Signal Processing, High Voltage Engineering, VLSI etc. catered by a full-fledged 10/100 Mbps internet with OFC backbone and 150 Mbps Internet Connectivity. 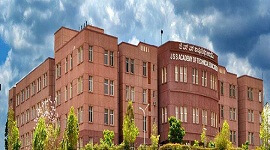 1300+ Computers in the Campus make GIT as one of the best destinations for Technology. The institute has a very strong Industry-Institute Partnership Cell. The Institute’s library is another attraction with 24000+ titles and 93000+ volumes, 8000+ Journals (including E-Journals) and 16000+ E-books. GIT provides materialistic and financial assistance for all sports and games. GIT has carved a niche for itself through consistently good results and placements. The entrepreneurship development Cell, Incubation Centre, Center for foreign /studies and the Open-arm mentoring of the learned faculty has fostered self employment as an important goal amongst several GITians. The Institute has a very strong industry interaction center and a full-fledged Training and Placement Cell. .
Aptitude training, Regular mock interviews, group discussions etc. are conducted to train the students to develop soft skills. .
Students are placed in blue-chip companies through campus interviews . 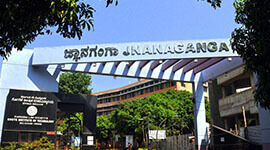 Many reputed companies visit the institution for campus recruitment. . 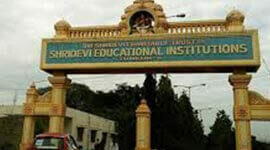 The placement training program was conducted in the institute by experts . 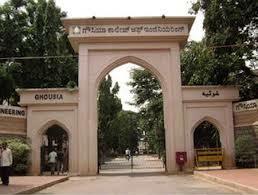 GIT college has a professional alliance with FACE, Bengaluru for implementation of the Aptitude Training program . Placement related interaction with the corporate sector. 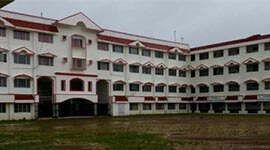 The campus has separate hostels for girls and boys with hygienic canteens, etc. The Open-arm mentoring of the learned faculty has fostered self employment as an imortant goal amongst several GITians.